We took a trip to try to learn more about our daughter's history, and we came home with more than we ever expected. We adopted our beautiful daughter when she was five. 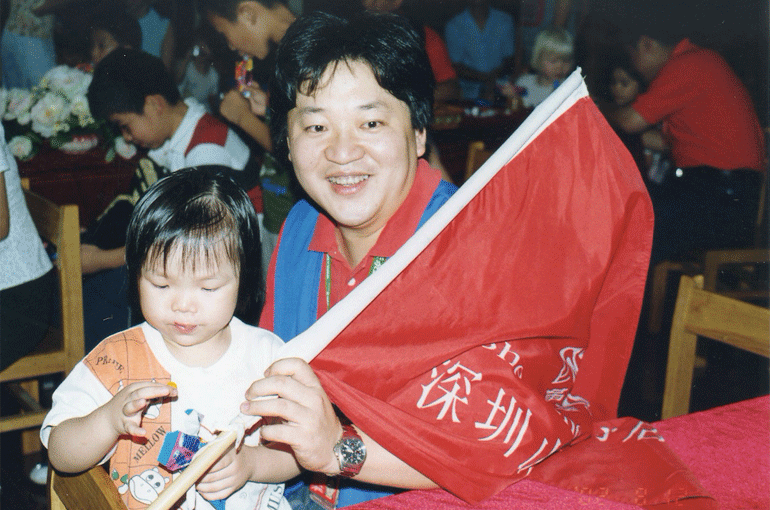 Sophie spent the first years of her life in a Chinese orphanage—a clean, well-staffed orphanage where she received plenty of food, decent medical care, and lots of love from her caregivers. Still, it was an orphanage and what she didn’t have during those years was what she wanted most: a forever family. For nine years, she has asked us questions about her past and we have offered her our best, if feeble, answers. We couldn’t tell her what we don’t know and what we did know of her story was slim. Her questions have steadily mounted and this was the summer we all recognized that it was time to try to find some real answers, and the only place with them was China—and her orphanage. I was warned by those who had gone before us on similar journeys that we were heading down a road pock-marked with emotional landmines. “You won’t know how she reacts until she is there and it could go either way,” one mom cautioned me. Her own daughter was left distraught by the visit. “Leave well enough alone,” the mom advised. A third mom reported that her daughter couldn’t bear to look at the children still there, making for an awkward visit, followed by weeks of haunting dreams where her daughter was one of the unadopted. Survivors’ guilt in a 10-year-old, her mother called it. But I also heard from many, many more parents who told me that their children’s orphanage visits went smoothly, were cathartic and helpful. They said the visits gave them some of the answers they sought and provided a connection to a long-ago but ever-present past. “Answers; we are going for answers,” I told all who asked why. The fact that the orphanage surprised me with this gift is a measure of how much China has opened its societal doors since our adoption trip nine years ago. Back then, we were confined to a conference room and saw nothing of the facility that was our daughter’s home. This time, we were taken on a complete tour and allowed to meet the children, take as many photographs as we wanted. We saw where Sophie once slept and I immediately knew where her aversion to itchy blankets comes from. We met her nannies and teachers who told us what a good student she was. And we met her former roommates, including her best friend and crib mate who is still there—but in the process of being adopted by an American family, we were told. Sophie played with the babies, lifted up the toddlers and whispered in the ear of more than one to “be patient, your momma is coming soon.” She hugged all who extended their arms to her and posed for photos like a returning war hero. The welcome she felt could not have been any warmer; my appreciation for it any greater. And yes, Sophie got her answers. She was given the details of how and where she was found. The story made her cry and I wept alongside her. The truth sometimes hurts and there is no greater pain than the one you watch your child experience. In the process, her birth date was confirmed. She now knows when she was born. She also now knows when and where her cleft lip was repaired and what her surgical recovery was like. She now knows that as an infant, she was sick frequently—something attributed to her cleft. She knows that the small scar on her arm wasn’t caused by anything noted in the orphanage records, suggesting that she may be one of the Chinese babies whose birth mother marked her, hoping to be able to recognize her should their paths ever cross again. She was shown her files and given a copy of her records to take home. We will have them translated from Chinese, but the orphanage officials sat patiently and read them to her, stopping each time she asked a question; they answered everything. She had lunch with the orphanage officials in a nearby restaurant and used her spending money to bring treats back to the children. When it came time to say goodbye, she asked to join her old best friend and crib mate in a music class, and I watched as the two of them instinctively held hands, just as they apparently did when they were inseparable as toddlers. Our hearts, they don’t forget. Later, when we visited her finding spot in a village on the outskirts of the city—led there by a map provided by the orphanage—I caught my trouper of a daughter staring into the faces around us. Unable to help myself, I asked if she was looking for her birth mother. “No,” she said, “You’re my Momma and I’ve found everything I came looking for,” she said. Emilio returned to Bolivia to meet his new sister — ..
“I Can’t Give My Daughter China. I Can Only Give ..
Jin Yu is seven now, and lately she's been telling ..